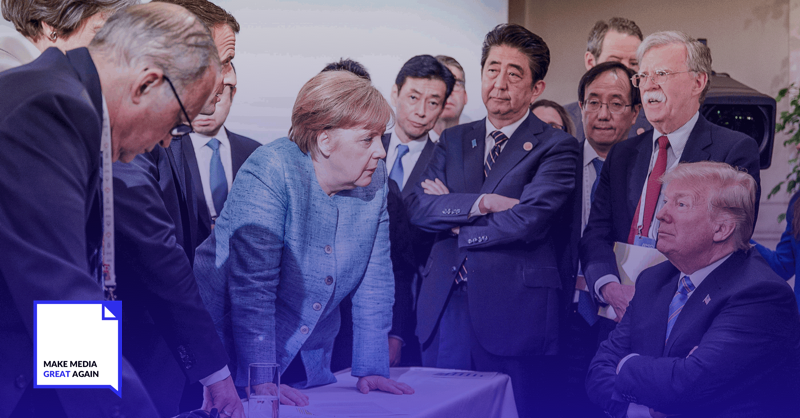 NU.nl is the first news platform to test a new annotation system by Make Media Great Again (MMGA). MMGA is a non-profit open source initiative that strives to improve the credibility and transparency of media while strengthening the bond between audience and news platform. MMGA believes this could be an innovative pillar to combat possible mis- and disinformation (fake news), but moreover to increase the public trust in news media. Triple has been supporting this non-profit organization in design, UX, presentations, and road to market strategies for the past year. This is why we're incredibly excited to announce that NU.nl, the largest news publisher in the Netherlands, will be the first news platform to test the annotation system. The goal for MMGA is to have their annotation system ready for the market early 2019. With the annotation system of MMGA, annotators provide labelled micro-feedback, that can be seen as critical comments or suggestions, on news stories. The suggestions are focussed on possible lack of reference to sources, but also language improvements that clarify context within an article. The annotators, with a high level of diversity, are screened, and, after selection, trained on critical thinking, journalistic ethics and constructive argumentation. The co-creative process between annotators and editors should lead to qualitatively better journalism and therefore forestall misinformation. MMGA is an open system which means that although editors have the final say they are not able to ignore the annotations on the basis of randomness or without a clear editorial policy. For the near future the idea is that both the annotations and how the editor responds to the annotations are public; or at least relevant selections of this "annotation conversation" are shown that could increase the discernment of information and improve critical thinking by the broader reading audience. Annotations can be deleted when they’re for example discriminating or when someone adds an annotation that’s firmly against the editorial policy or statute. We’re very proud to be part of this non-profit initiative and we’re excited for what’s next. 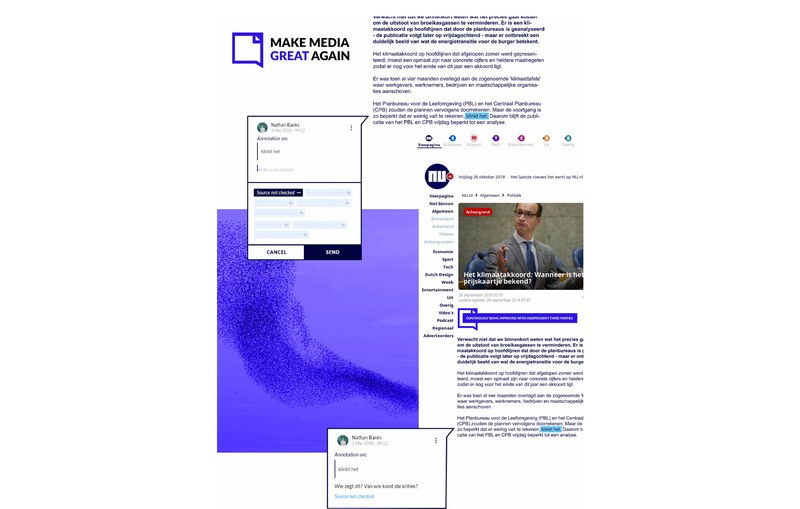 Want to learn more about Make Media Great Again or contribute as annotator?